The progressive group is funded by billionaire Bilderberg member George Soros, and has endorsed Democratic candidate Vermont Sen. Bernard Sanders for president, and promises that more disruptions are on the way. As the Moveon.org Facebook page states, they were sponsoring both a petition to have the event cancelled as well as a call for ten thousand violent disrupters to show up and prevent the rally from taking place. The attacks against Trump and his supporters are due to Moveon and Soros’ conclusion that he and they are what stands between them and taking over America. This fall’s election will be the last free election if the Marxist Democrats have their way and they see Trump as the personification of the American resistance movement. Soros has spent or committed more than $13 million to support Hillary Clinton and other Democrats this election cycle, already more than his total disclosed spending in the last two presidential elections combined, although by vote of the organization their support will now be focused on Bernie Sanders. Soros has expressed alarm over the past few months at the candidacies of Republicans Donald Trump and Ted Cruz. In a statement last week about a new group he’s funding to increase voting by Latinos and immigrants in the election, he again mentioned the two candidates by name. 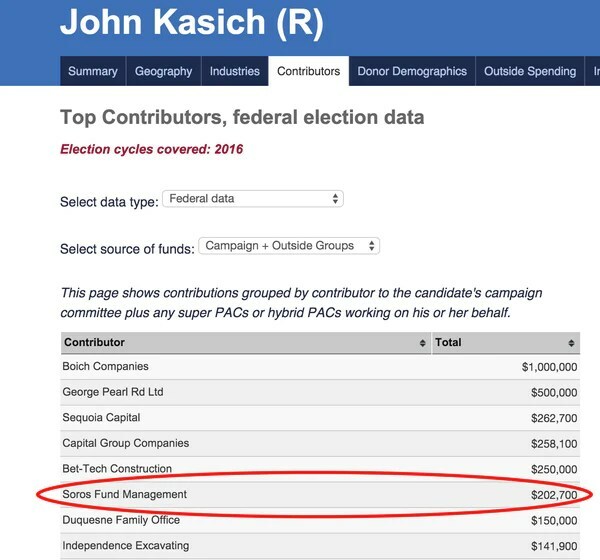 In his maneuvers against them, he is now backing John Kasich in the primaries. Soros’s biggest contribution this year is a total of $7 million to Priorities USA, the main super-PAC supporting Clinton. Another $1 million went to American Bridge, an opposition-research group. And last week, he announced he was putting $5 million into a new super-PAC known as Immigrant Voters Win. The group is part of a coordinated $15 million voter-turnout effort, first reported in the New York Times, that is targeting Latinos and immigrants in Colorado, Nevada and Florida. His idea of how to solve the world’s economic problems? No wonder he backs Bernie Sanders! If you want to know the evils lurking within the Bilderberg Group, look no further than the following quotes from Bilderberg insiders and those who’ve studied the secretive cabal. You have been warned! Let’s stand up to this evil plot!